Near Morston, TX? (Houston, TX) or don't mind driving or flying? 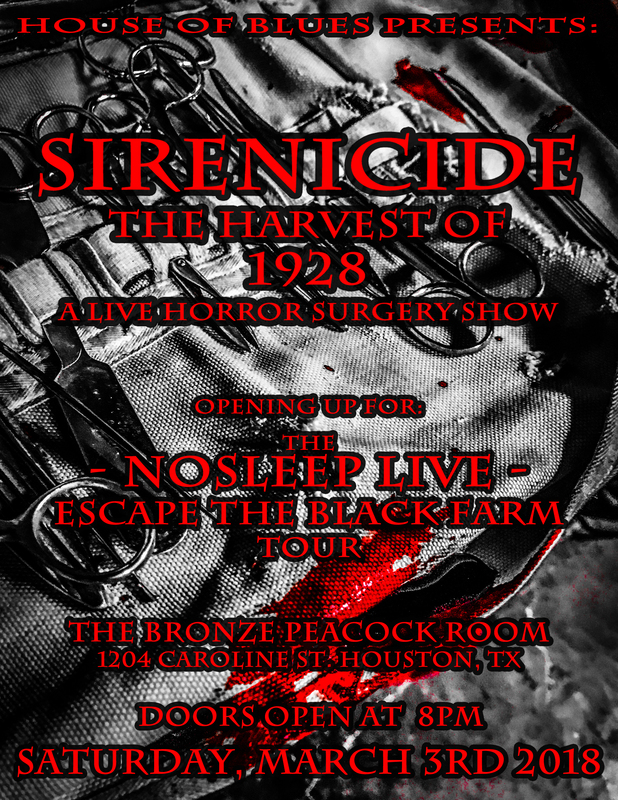 Then here is your chance to see the very 1st Sirenicide Live Podcast. Click the ticket link below! Kara Thornton has a dental extraction procedure done, but she is picked up by a mysterious man and nothing after will be the same. Here is more on the stars in Season 3.